SwimLane - Why Stay in Your Own? 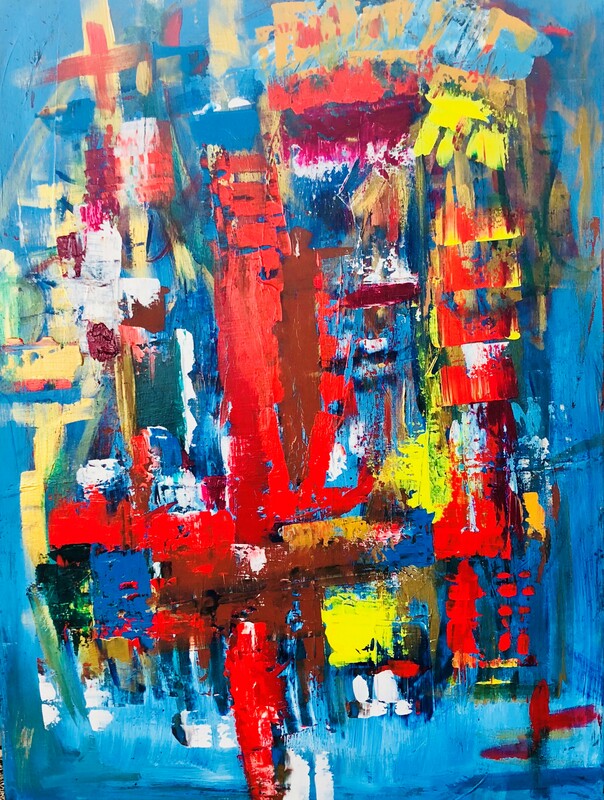 Christine Zmuda is an abstract expressionism and intuitive painter. 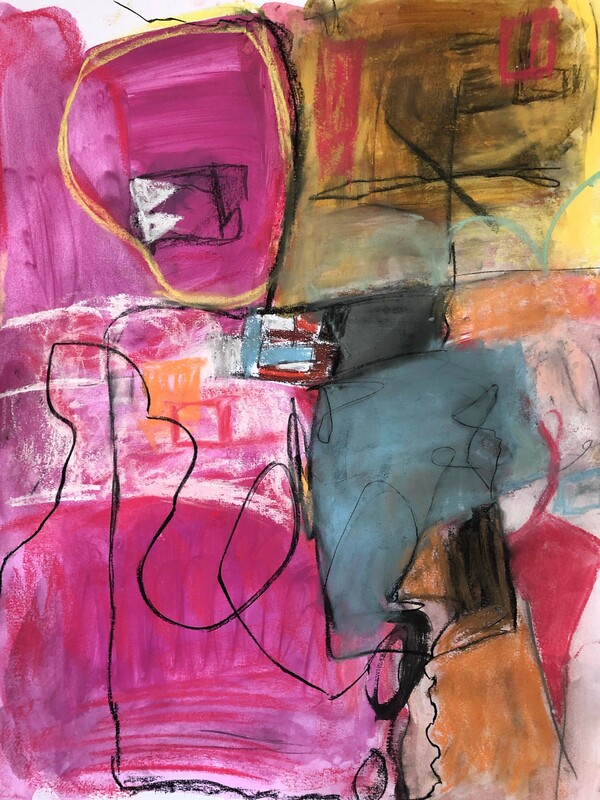 Largely self-taught, Christine uses acrylic paint, charcoal, and oil sticks to put on canvas what she feels through music. 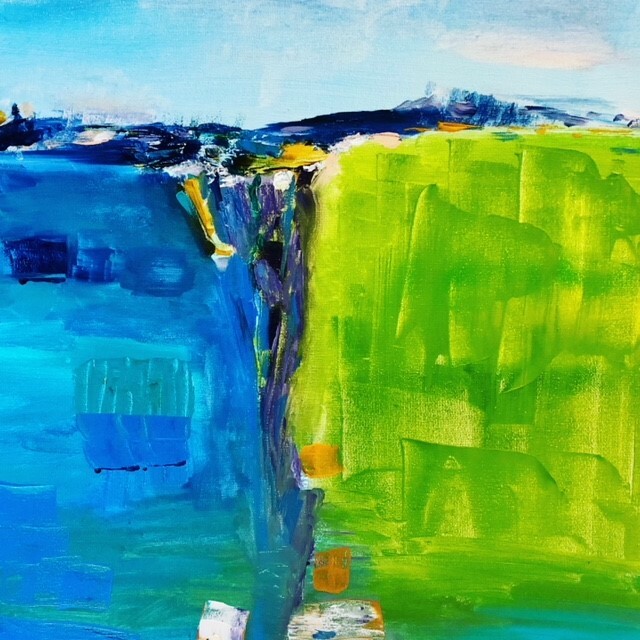 Playing music and painting are symbiotic and interdependent to her painting process. 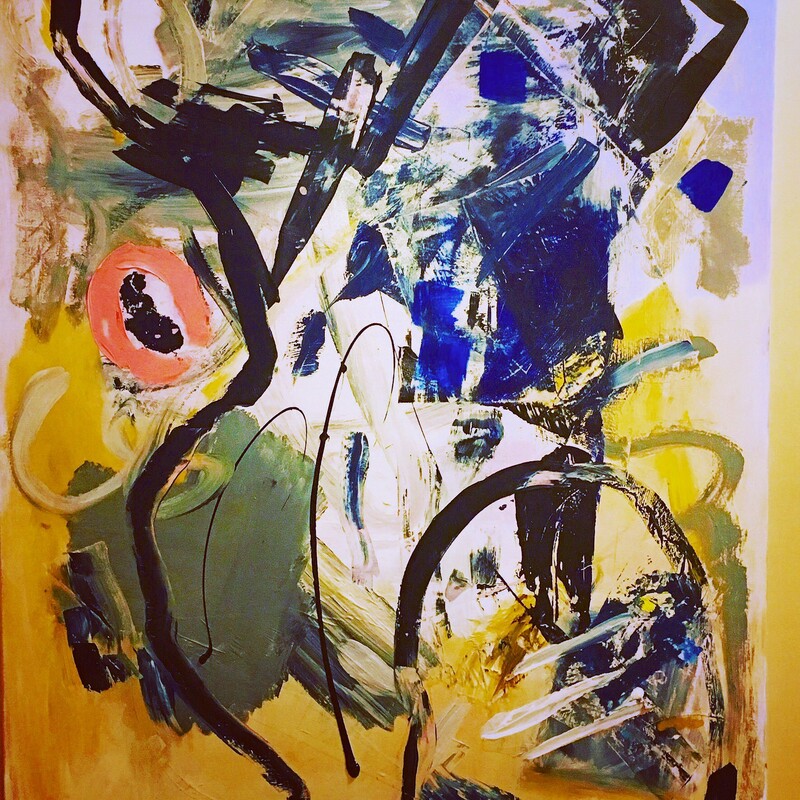 Influences include abstract painters like Basquiat, Jackson Pollack, and Hiroshi Matsumoto. Musical influences are equally as important. Christine listens to a wide range of music such as: Billie Holiday, Otis Redding, Chrissie Hynde, Beastie Boys, The Clash, Rolling Stones, Lord Huron, Vance Joy, and Courtney Barnett. 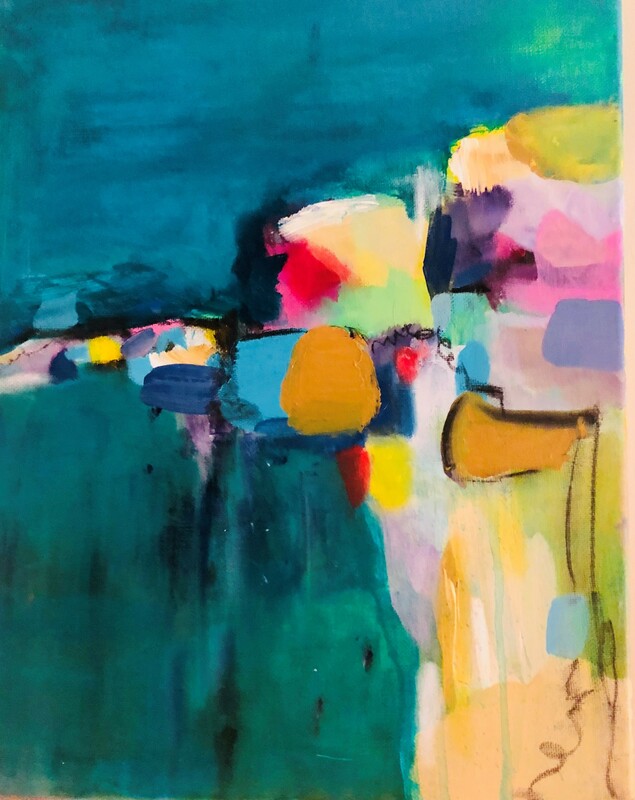 Using color, her imagination, and the connection to music, Christine seeks to explore color combinations and forms that intrigue the senses and reveal something unexpected. This approach is thematic in in her personal life. Christine is a collector of life experiences and offbeat adventures. 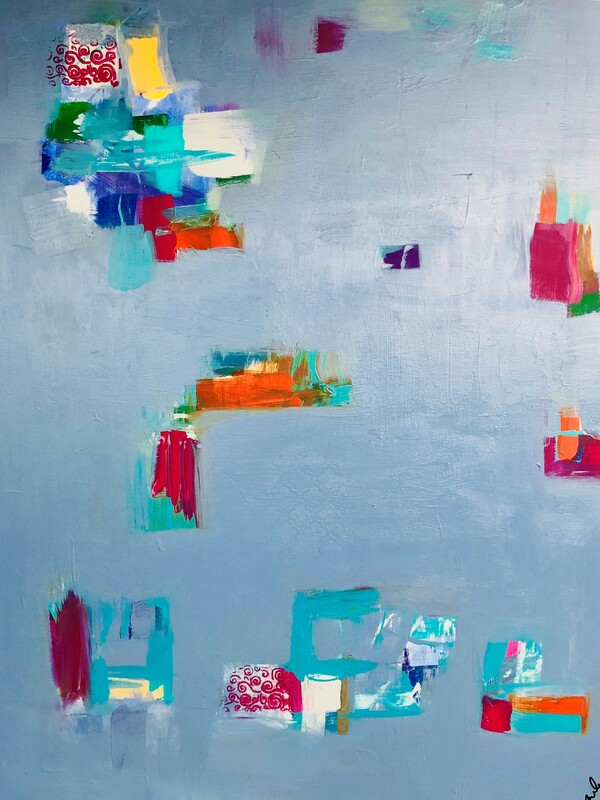 Simply said, Christine’s paintings be one-part mischief, two parts natural curiosity and a heaping of a desire to experience all life has to offer. Along those lines, Christine is also an author of a book “Misadventures of the Hip and Fabulous”. This book is a girlfriend’s guide to building memorable experiences, offbeat adventures, and lifelong friendships. You can follow Christine’s artwork at Instagram @artgallerybyz.